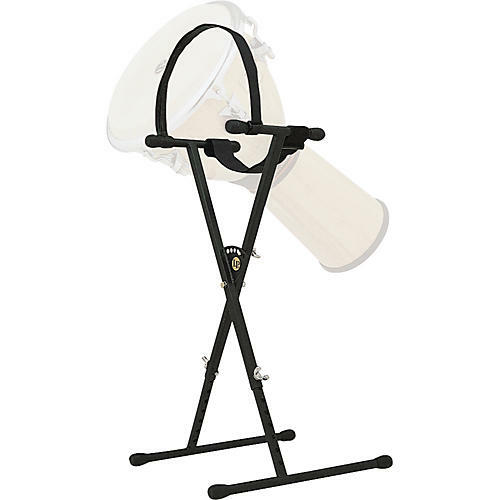 The LP729 stand holds your djembe in a traditional playing position. The X-frame uses velcro straps and offers 3-position adjustability to securely hold any djembe from 10" - 15" diameter. Height adjustable from 35" - 43". The LP djembe stand folds and locks together for transport.